REDONDO BEACH — In recent years, Redondo Beach has been known for the struggle in bringing a newly revitalized waterfront to fruition. 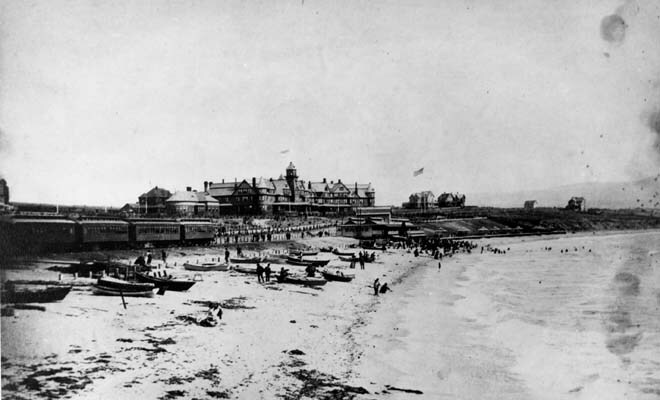 In 1890, however, Redondo Beach was considered one of the best vacation spots around, as seen pictured here. This was the year the Hotel Redondo opened, which was considered one of the most refined seaside resorts. The railroads, which are also seen in this picture, brought many people to California’s coast. Perhaps in the near future, Redondo Beach will once again be known as a bustling tourist spot. Photo provided by Los Angeles Public Library photo collection.